This program allows congregations to encourage and support their members who are preparing for the public ministry at MLC. 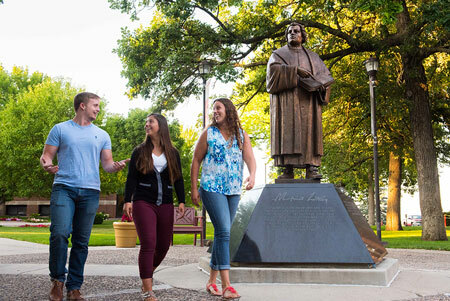 The congregation awards a grant to any undergraduate student enrolled at MLC for the 2019-2020 academic year. The student must be a member of the congregation. MLC matches that grant from $100 to $1,000 per student! Grant amounts should be whole numbers – our system cannot process cents. Congregations and individuals that want to support the program but do not have any members who are preparing for the public ministry at MLC can still contribute to this grant program. Your contribution will help MLC match the grants given to students whose congregations participate in the program. 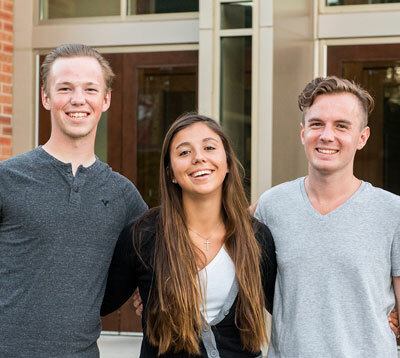 The Congregational Partner Grant Program (CPGP) was a pilot project begun for the 2016-2017 academic year in which a congregation that submitted grant aid to support incoming freshmen with up to $1000 per student would have their funding matched by MLC. During the second year of the program, it was expanded to include sophomore students as well. The third year of the program added junior students as eligible recipients. We at MLC thank Jesus for the wonderful support and interest of so many congregations who seek to help their students train for ministry. Truly, God is able to do immeasurably more than all we ask or imagine.